The Big Switch, now with extra avatars! 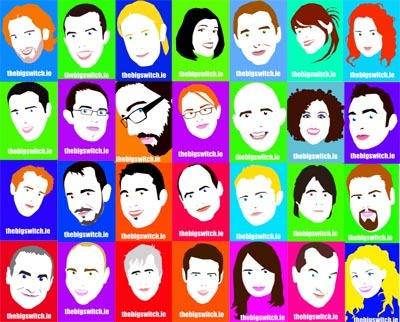 I was commissioned to create a series of avatars of Irish bloggers for a Bord Gais The Big Switch event last night in Dublin. They seem to have gone down well in the main! If you see yourself here and you’d like a hi-res version leave a comment or drop me a line. Caricature present for future lawyer! Cool. Recognised all the ones that I knew straight away. Thanks John, yeah they seem to have gone down well. Caricatures Ireland » The curious case of the stolen avatar, and how sometimes the internet has your back.